A true American Hero, who gave his life protecting his fellow citizens. May the comfort that only God can give, cover his family. May our Lord watch over your family and friends during this tragic time! Rest in peace brother, thank you for your service. God bless the family, friends, and co-workers of Deputy Chism during this time of tragic and senseless loss. Tomorrow morning two of my fellow officers and I leave for Virginia to join the rest of our chapter for the Police Unity Tour. I will be riding in honor of Deputy Chism, and I will carry the knowledge of his sacrifice with me for the entire journey to the memorial. My 12 year-old daughter had the unique privilege of participating in a choir composed of over three hundred middle-school-aged children this evening - 13 April 2015 in Moberly Mo, who performed a song written in honor of this exalted servant of the people, by his older brother. He was also present to direct the piece. I'm inclined to believe that Officer Chism was in their midst as well. 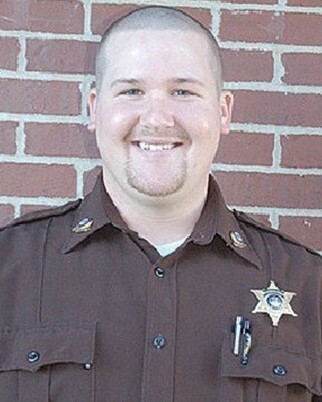 Rest in Peace Deputy Sheriff Matthew Chism. Thank you for your service to this country and your community. My thoughts and prayers are with your family and your department at this time. I participated in the Jersey City, NJ Police Department's (JCPD) "A Walk to Remember" on Saturday at Liberty State Park. The walk honored the 118 officers that lost their lives in 2014 nationwide. I had the privilege of holding Deputy Sheriff Matthew Chism's Memorial Sign during the walk. Thank you for your service. Rest in Peace. It was an honor to serve with this exceptional young man. He will never be forgotten. I will miss my son Matthew Chism so much. He was an awesome husband, father, and son. Our deepest condolences to the dear family and friends of Deputy Chism. God Bless him for his service and sacrifice he made to keep others safe. Rest in Peace Brother, you will not be forgotten. So live your life that the fear of death can never enter your heart.Trouble no one about their religion;respect others in their view, and demand that they respect yours.Love your life, perfect your life, beautify all things in your life.Seek to make your life long and its purpose in the service of your people.Prepare a noble death song for the day when you go over the great divide.Always give a word or a sign of salute when meeting or passing a friend,even a stranger, when in a lonely place.Show respect to all people and grovel to none.When you arise in the morning give thanks for the food and for the joy of living.If you see no reason for giving thanks, the fault lies only in yourself.Abuse no one and no thing, for abuse turns the wise ones to fool sand robs the spirit of its vision.When it comes your time to die, be not like those whose hearts are filled with the fear of death, so that when their time comes they weep and pray for a little more time to live their lives over again in a different way.Sing your death song and die like a hero going home. May your family be blessed until such time you are together again. Thank you officer Chism. We are diminished with your loss. RIP brother, my sincere and heartfelt condolences to the family. Prayers for comfort and peace in this time of need. I am so sorry to hear of this tragic loss. Please accept my sincere condolences. A salute to a hero. Heartfelt condolences to your family. May God's love protect and watch over them. God's peace and speed Deputy Chism. Thank you for your brave, dedicated service. RIP Brother. the company of heroes forevermore. in their class “A“ uniforms, badges gleaming and shoes like glass, They are your brothers and sisters of Law Enforcement. Today, like many others,they welcome you to this hallowed place. As you march down the Thin Blue Line of the Fallen, all eyes are focused on you as if to say it will be ok you’re with your eternal partners. A salute follows and a tear can be seen on so many faces. Welcome, you served well. Now come join the ranks, another member of The Thin Blue Line has come home.